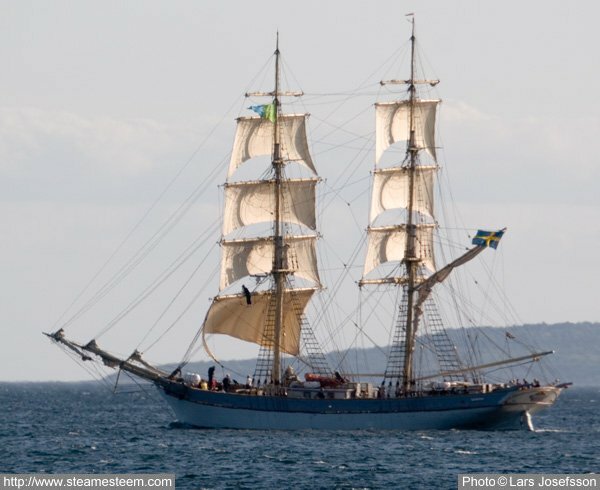 The brig Tre Kronor from Stockholm, moored in Karlshamn, has sixteen sail with a maximum sail area of 730m ². 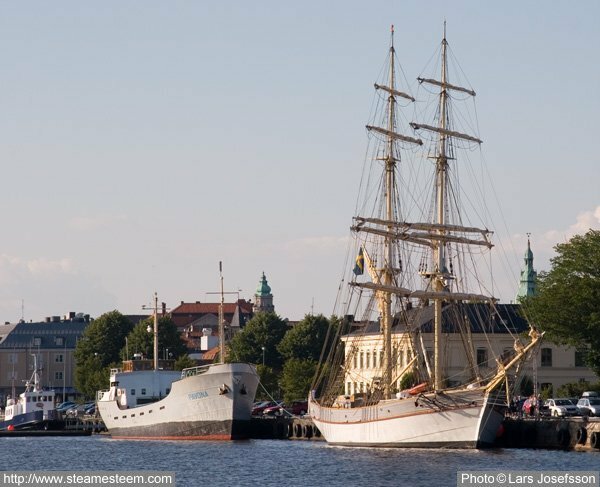 The brig Tre Kronor departing Karlshamn by the diesel engine. 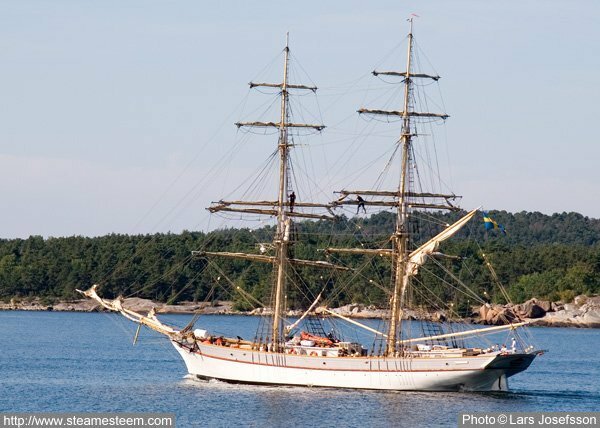 A little farther outside Karlshamn they set sail on the beautiful brig Tre Kronor. Flying jip, Jib, Forestay-sail, Main sail and Spanker remain to be set.